Revolutionaries believe that the societies we live in are basically unjust and unfair. It is not just a matter of this injustice or that unfairness – it is the whole way that society works that is unjust and unfair. Poverty, war, racism, sexism and all the rest of the problems we face are not exceptions to the rule – they are the rule. Capitalism cannot exist without creating poverty, without fighting wars, without oppressing us based upon arbitrary traits. 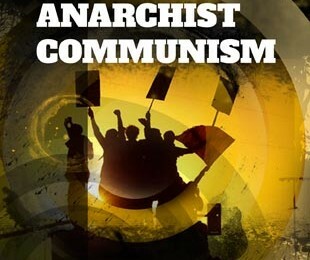 We believe that capitalism must be destroyed and a new society – an anarchist communist society – must be built. This is the revolution. Both the destruction of what exists now and the construction of something new are part of the revolution. As revolutionaries we work to encourage both – supporting opposition to those in power as well as aiding those who try to build alternatives. Because capitalism is basically unfair and unjust, revolutionaries do not believe in change through gradual reform. This is called reformism. This is not to say that a minimum wage, a shorter working day, or the right to abortion on demand are not important. These reforms and many others have made life better for us. Revolutionaries are not trying to say that life has not improved since Victorian times – that would be silly. What we do say are two things. Firstly, no reform is permanent. Any reform can and will be undone by politicians and bosses whenever they get the chance. The attacks on civil liberties, on working conditions, and on public services that we see time and time again should be enough to prove this. Secondly, reforms are only granted by governments when they are scared of something worse – a mass movement of the working class. Time and time again it has taken the actions of millions of people organising together to get even the most basic reforms. The ten hour day, rights for women and children, and the welfare state were all forced concessions from governments challenged by mass movements. There is nothing governments are more scared of than us ignoring them and simply doing things for ourselves. Governments will make almost any concession to stop us feeling that we can act for ourselves without waiting for permission from their higher authority. Because of this, revolutionaries are often attacked as utopian, as imagining unrealistic perfect worlds that can never be. “You should be practical,” we are told. “Focus on getting results here and now, not on some imaginary cloud cuckoo land in the future.” When people say things like this, when we are told to be ‘practical’ or ‘realistic’, we are usually being told to abandon our principles. Successive governments attack public services in the name of ‘pragmatism’, the unions sell out to management because it’s ‘practical’, authoritarian revolutionaries lie to their members and the public because they’re ‘realistic’. If this is what being practical means then that would already be enough to reject it. But there’s more to it than this. Being ‘practical’ in this way, making compromises and deals with bosses and politicians, is a sure-fire way of making sure that you don’t get what you want. Any deals done with capitalism are bound backfire, as we’ve seen time and time again. You don’t make progress by negotiating with the bosses. You make progress by terrifying them. Anarchist communists believe that it is better to fight for what we want, even if we don’t get it straight away, rather than fighting for something we don’t want, and getting it. Mass movements making demands based on their own needs are much more scary to the ruling class than any number of snivelling bureaucrats being ‘realistic’ and asking nicely for a few scraps from the boss’s table. We don’t want the scraps – we want the whole meal, and the kitchen that cooked it, and the house it was served in, and the fields it was grown in, and the factories that made the plates – we want the whole world and nothing less. Everything the ruling class has, it has because the working class made it and they stole it. We refuse to ask nicely for things that are already ours. This is not just a matter of principle, it is practical. Those that beg for scraps get nothing else, and often not even that. If we work to take what is already ours the ruling class will be forced to concede far more than just scraps.